This one was inspired by Green Flash’s Hop Head Red. 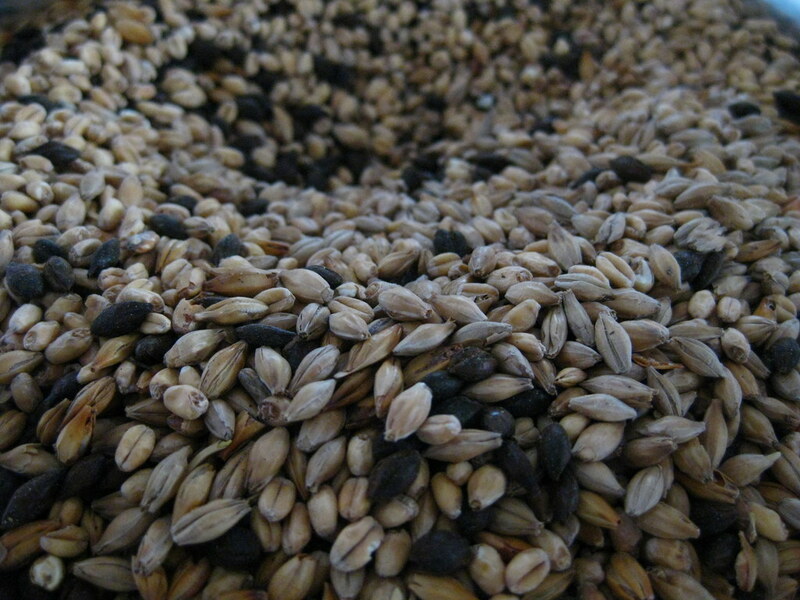 I started more or less with the grain bill from my latest pale ale, swapped out the flaked barley for wheat, the light crystal malt for Weyermann CaraRed / Carafa Sp. III, and threw in a bit of cane sugar to dry it out. I would say that the Simcoe / Centennial / Citra combo was a nod to DDC’s Moralite, but it really just turned out that way by availability and coincidence. 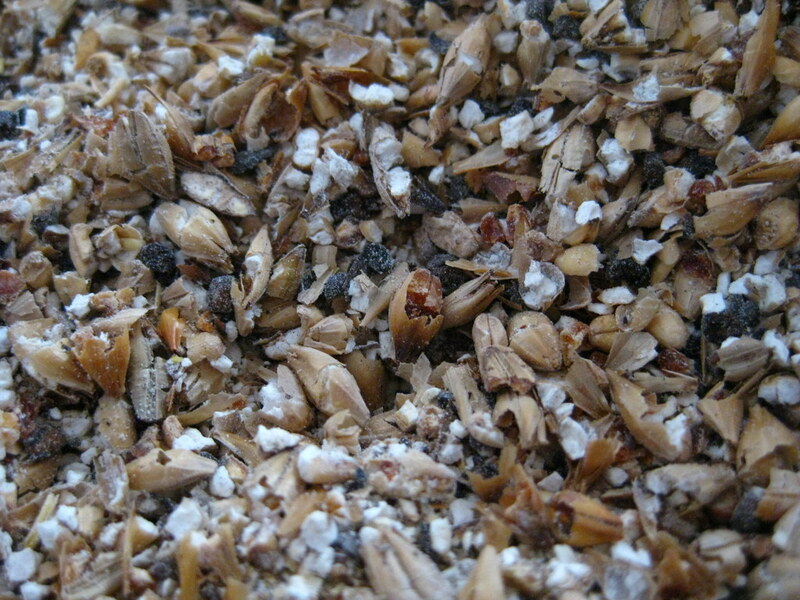 All the grain was crushed together and mashed at 2.6 L/kg , 67C for 70 minutes. 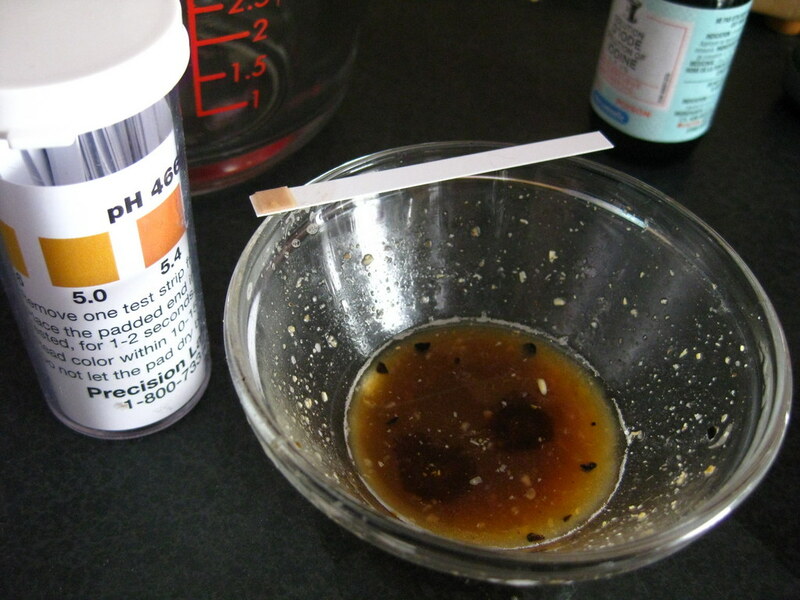 The pH and starch conversion test results below were performed after 15 minutes. The pH is right in the ideal range between 5.1 and 5.5, but the two dark drops of iodine show there’s still conversion yet to be done. Before transferring to the lauter tun and sparging, the mash was heated to 75C (but not held there) to keep all the sugars as soluble as possible. Measured conversion efficiency was at 92%, and extract efficiency was 82%, an unexpected all time high, and particularly surprising given that there was just a tiny bit too much grain in the recipe for the lauter tun to hold, so I drained the first runnings before adding the last bit of grain and sparging. After stirring the pre-boil foam, it looked like I was making a giant cappuccino. 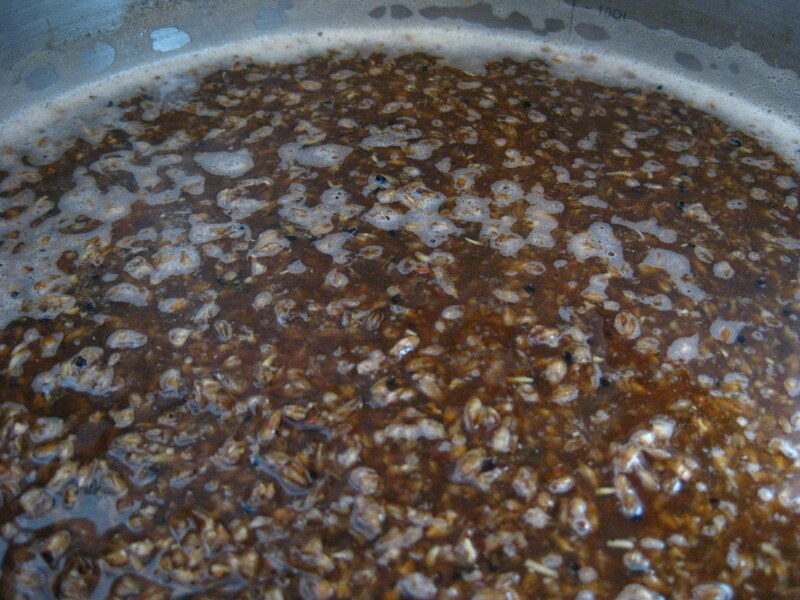 I used only Simcoe for the 60 minute bittering addition, and generous amounts of both Simcoe and Centennial very late in boil for flavour and aroma. Simcoe has to be my favourite variety, definitely where it’s at for that lovely dank fruity aroma. I wasn’t sure I was heavy handed enough with the hops until I lost a solid two litres of wort to hop trub in the kettle when transferring, and that doesn’t include all the trub that made it into the fermentor, which you can see there was lots of. Rest for 70 min at 67C, 2.5L/kg, drain then sparge to 12.5L, top up to 13L. 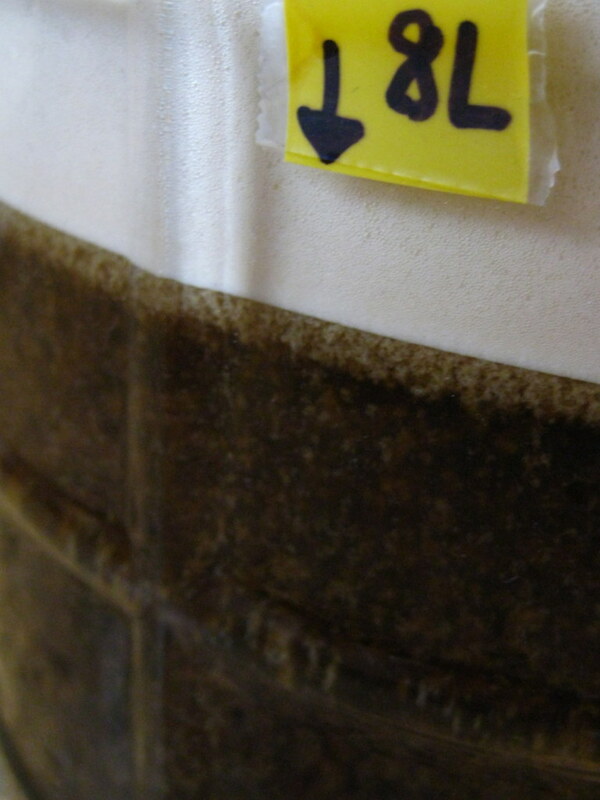 06.03.14: Yeast pitched, temperature at 17.5C. 07.03.14: Airlock very active. Krausen rising fast, temp at 18C. 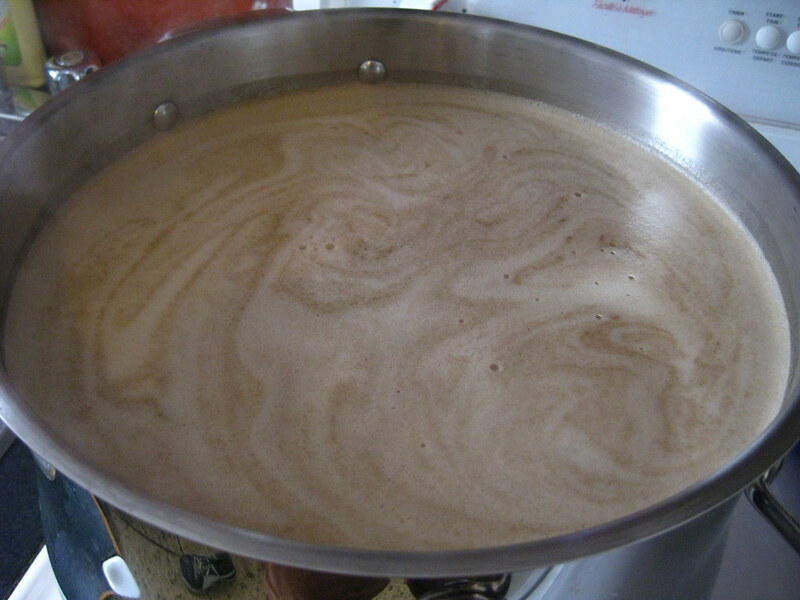 07.03.14: So much krausen. 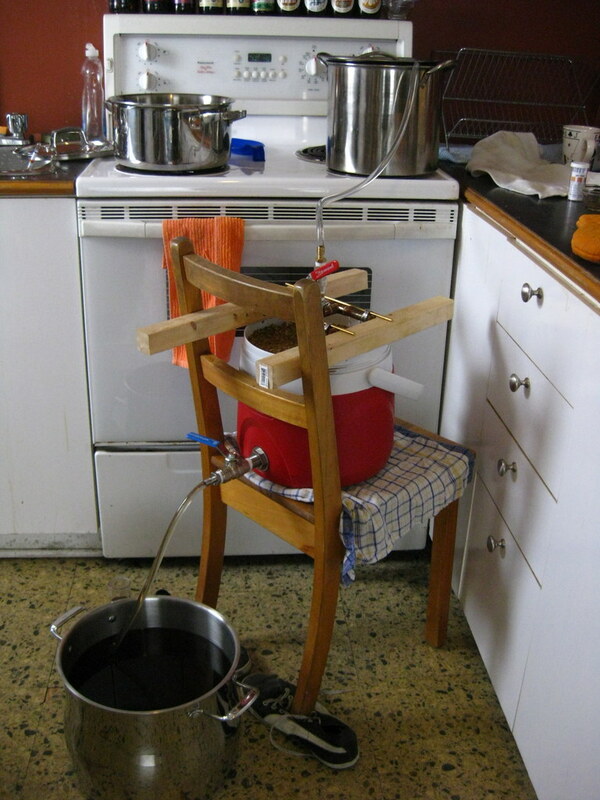 Airlock swapped for blowoff tube, temp at 18C. 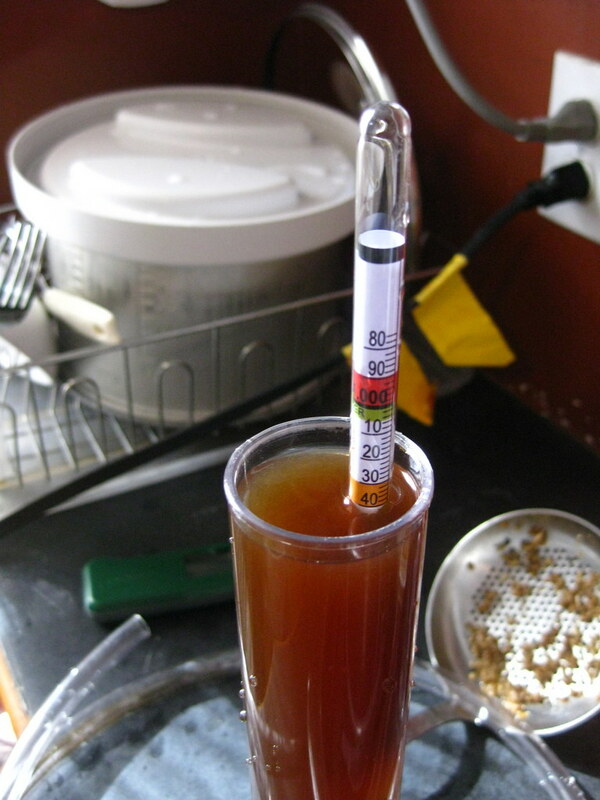 16.03.14: All quiet in the carboy, temp at 18.5C. 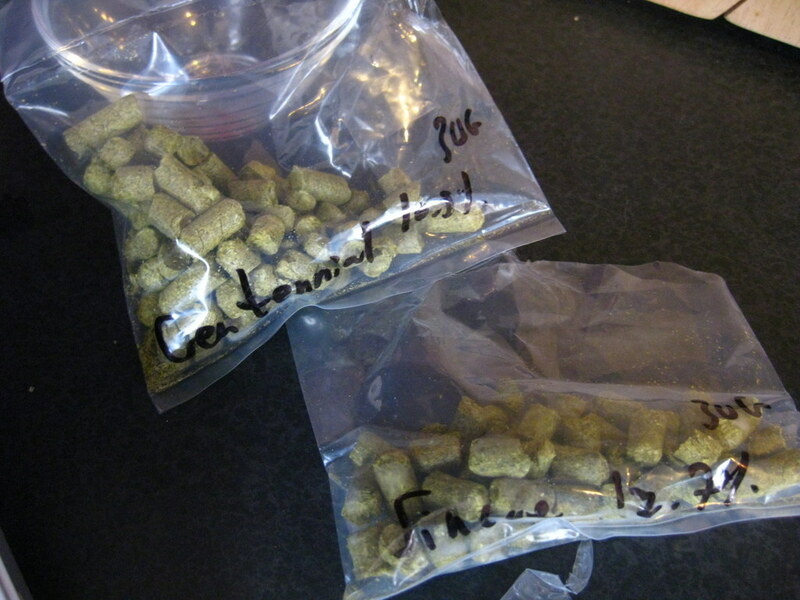 18.03.14: Added whole leaf dry hops in a cheesecloth, temp at 18.5C. 21.03.14: Bottled 6.6L with 54g of table sugar (3.0 Volumes).